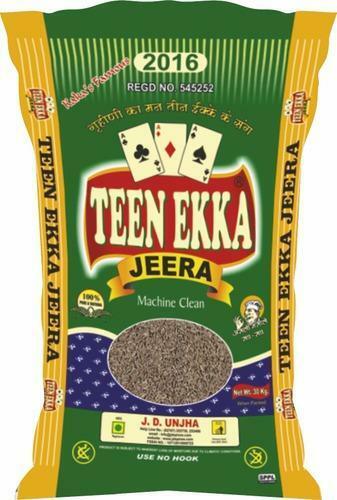 We are highly acclaimed in the industry for manufacturing an optimum quality range of Jeera Packing Bag. Incepted in the year 1997 at Anand (Gujarat, India), we “Satyendra Packaging Pvt. Ltd.”, are a well-known firm, engaged in manufacturing and exporting of finest quality array of Bopp Bags, Packaging Bags, Jute Bags, Multilayer Pouches And Bags, Organic Fertilizer Bags, etc. We provide these products to our clients to our clients at a pocket friendly rate. We also export these products to UK, Africa, All Gulf countries etc. Under the leadership of, “Mr. Vishal Shah” (Manager- Business Development), we have been able to cater bulk necessities of patrons in efficient manner.